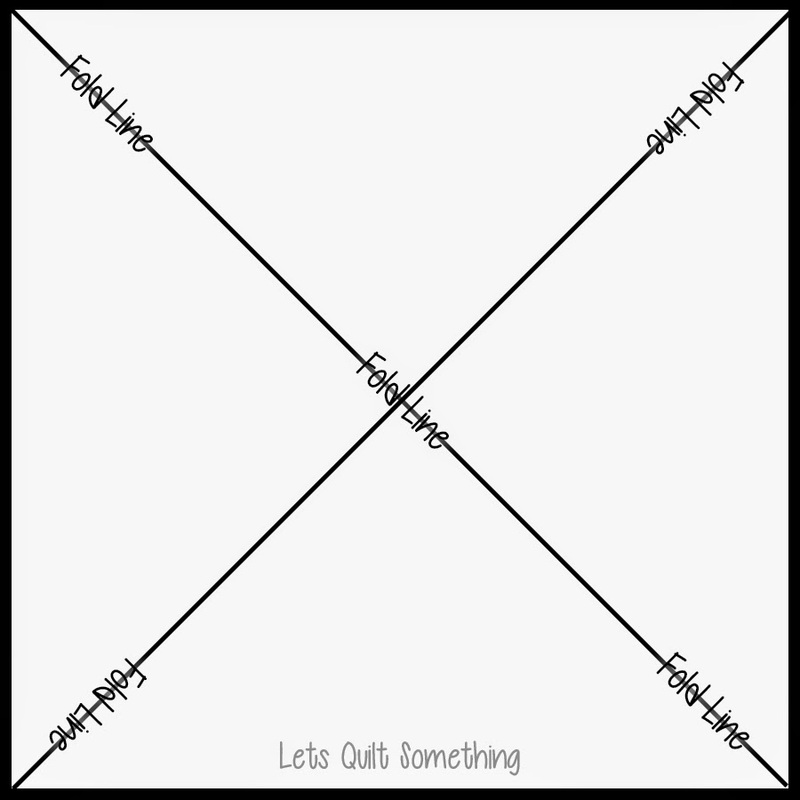 Today I will show you how to make half square triangles three different was with OUT cutting triangles to piece together. You will only be working with squares. 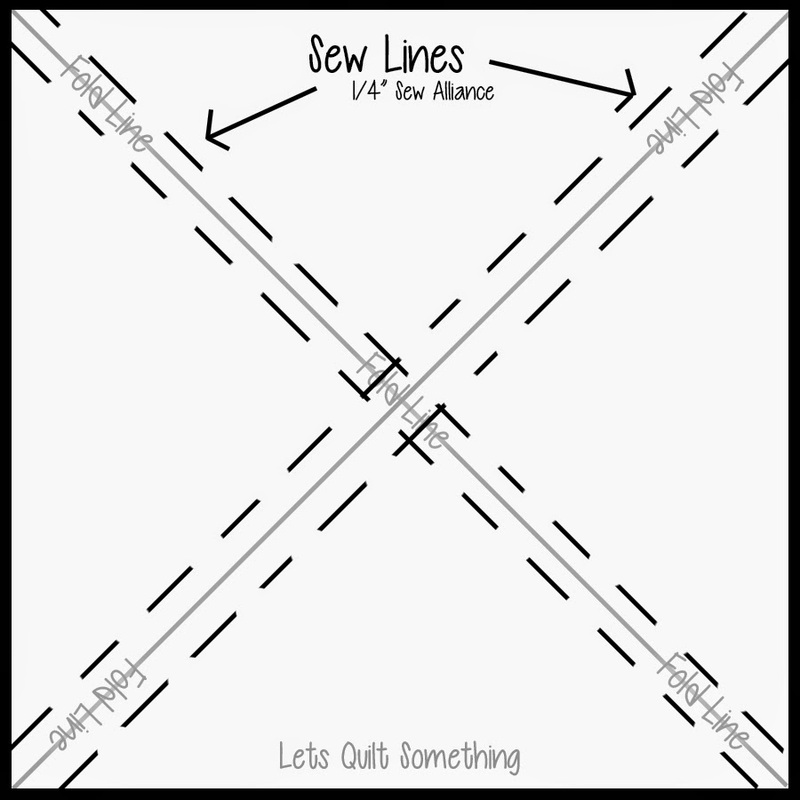 =) This will surely cut so much time on your sewing so you will have more time to make beautiful quilts! You will need to cut two squares in the color of your choice. Your lightest color fabric you are going to fold down the diagonal and press it with your iron. When you fold the fabric to get your diagonal it won't matter if your right sides are together or wrong sides, we just need a folded line. Once you have done this to all your lighter color fabrics, then you will lay right sides of both fabrics, the one folded and the square not folder. 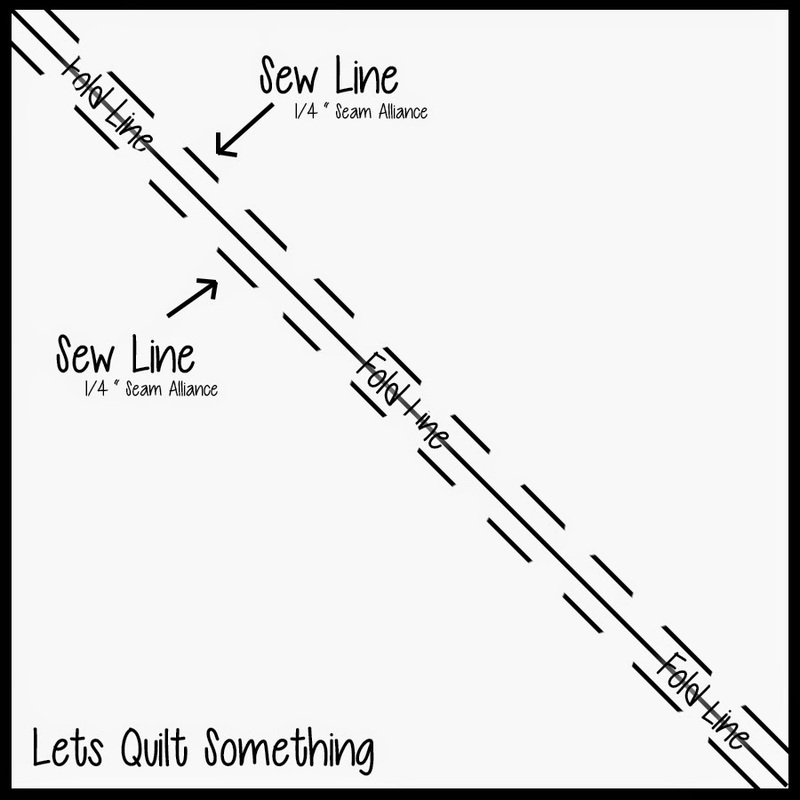 Next you are going to sew a 1/4" Seam Alliance on both sides of the fold. Once you have done so, you will need cut your folded line with a rotary cutter or scissors. Press your half square triangles to the dark side open and wa-la! You have some half square triangles! You may now do your squaring up if needed and/or cut your dog ears off. You will need to cut two squares in the color of your choice. 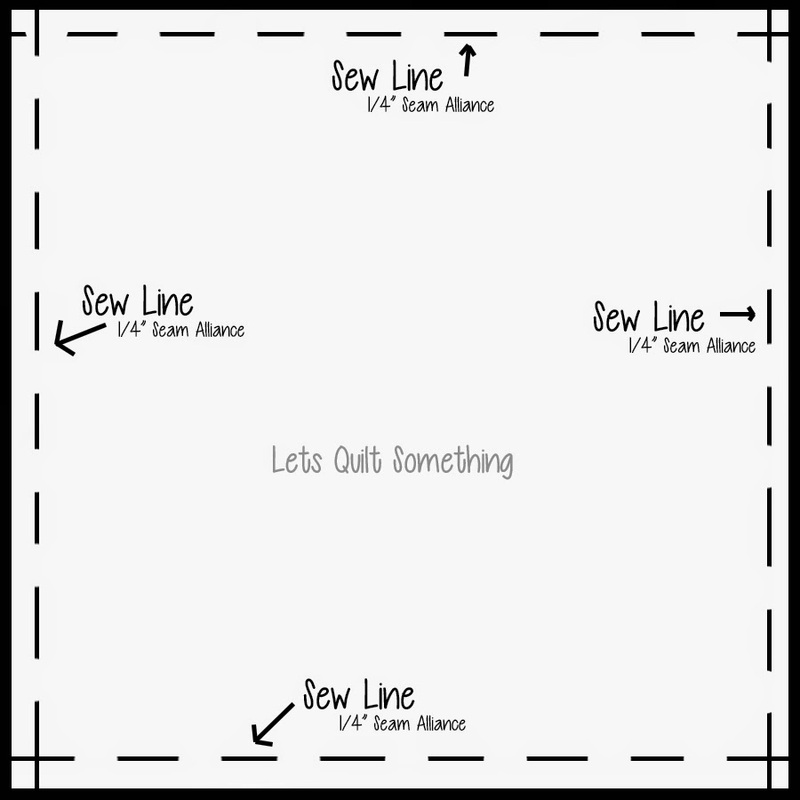 You are going to lay right sides together of the fabric squares and you are going to sew a 1/4" Seam Alliance all around each side of the square. 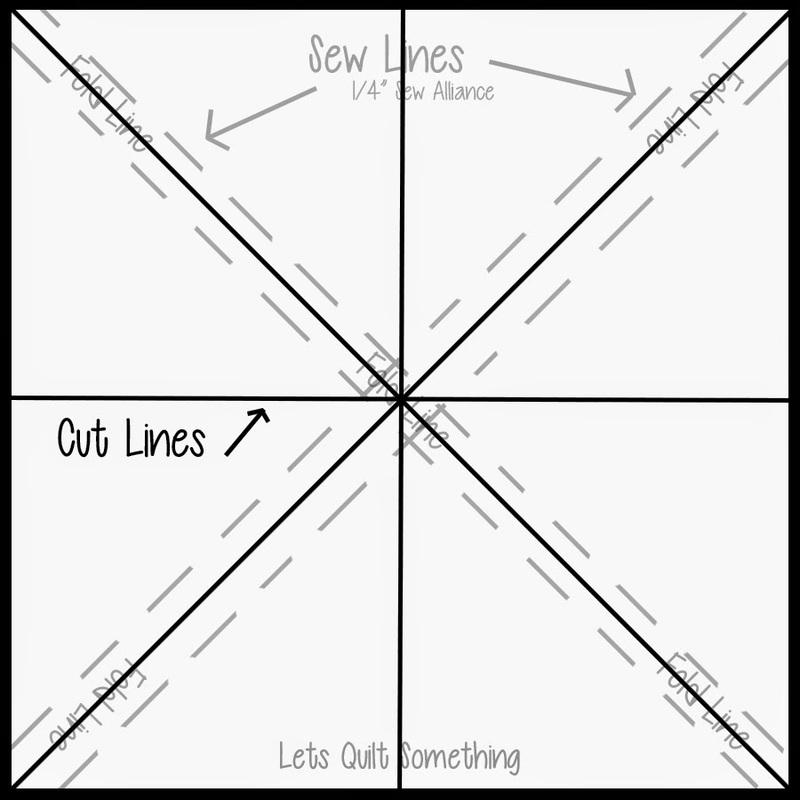 Once you have done so, you will need cut your fabric both diagonal way with a rotary cutter or scissors. Press your half square triangles to the dark side open and wa-la! You have four half square triangles! You may now do your squaring up if needed and/or cut off your dog ears. You will need to cut two squares in the color of your choice. Your lightest color you are going to fold down the diagonal both ways and press it with your iron. 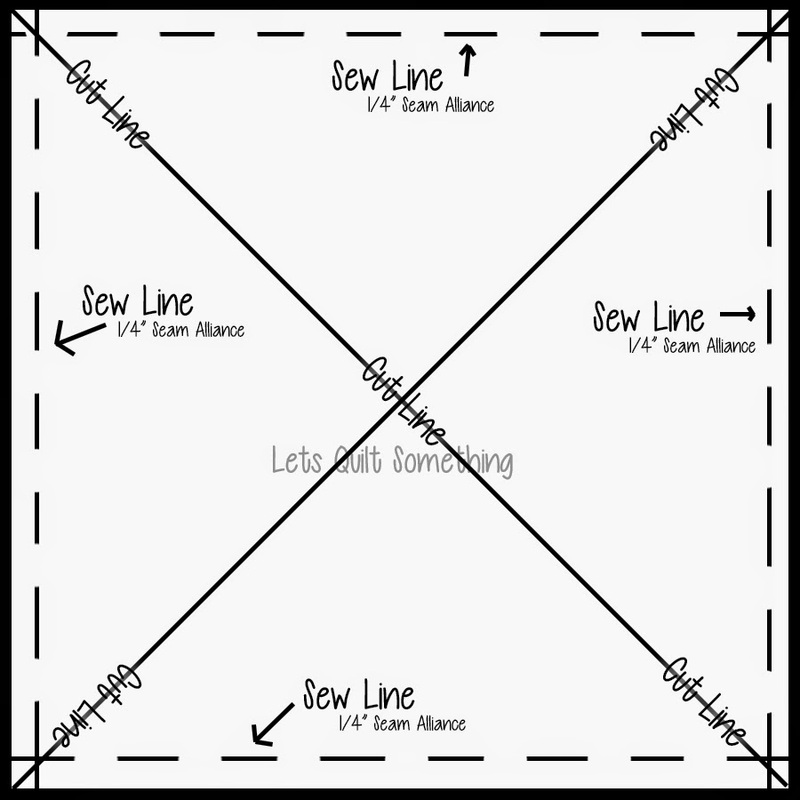 When you fold the fabric to get your diagonals it won't matter if your right sides are together or wrong sides, we just need a folded line again. 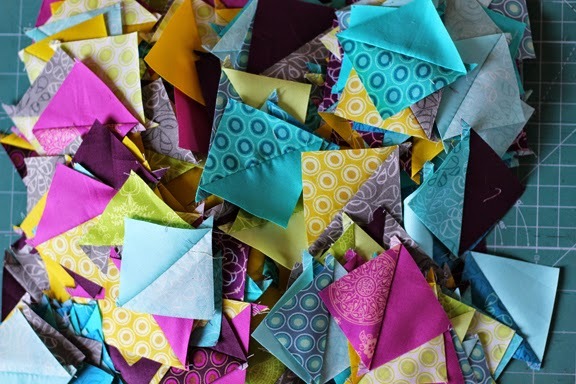 Once you do this to all your light color fabrics you are going to lay right sides together of the fabric square you just folded and the other color square you cut in the beginning. Next you are going to sew a 1/4" Seam Alliance on both sides of the fold. Once you have done so, you will need cut your folded lines, middle of our vertical and horizontal with a rotary cutter or scissors. Press your half square triangles to the dark side open and wa-la! You have eight half square triangles! You may now do your squaring up if needed and/or cut off your dog ears.